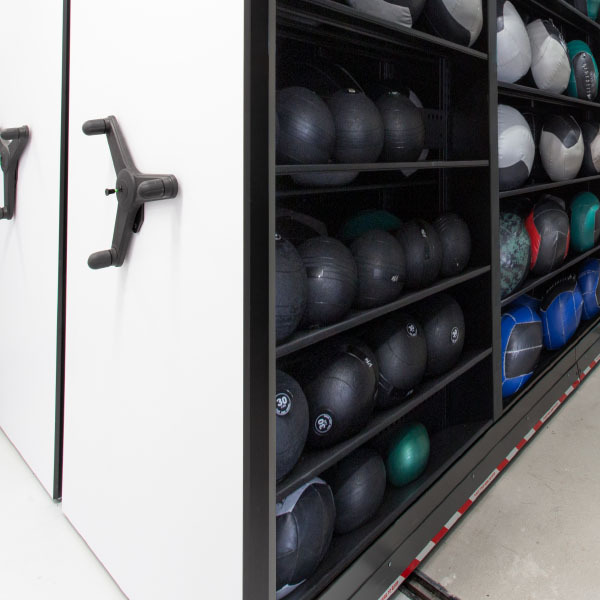 Designed for kettlebell storage, dumbbell storage and even sandbag storage. 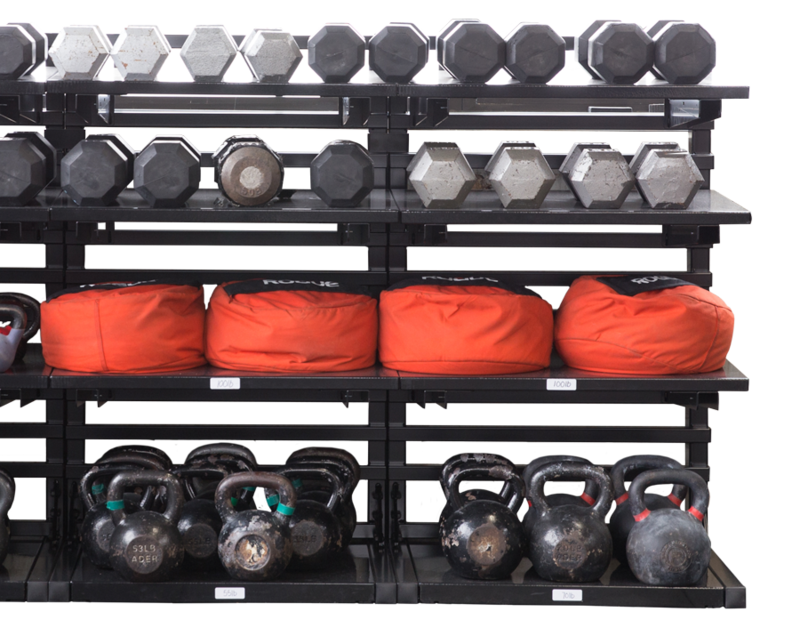 Store heavy loads along your gym’s perimeter, LIFT Heavy-Duty (HD) Shelving clears out clutter by packing a lot of storage space into a small area. 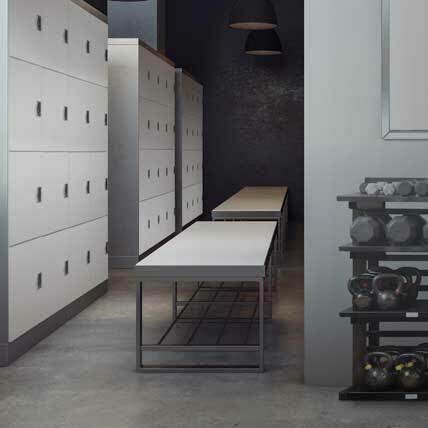 Heavy-duty fitness equipment storage keeps your gear convenient, while also freeing up more floorspace for workouts. 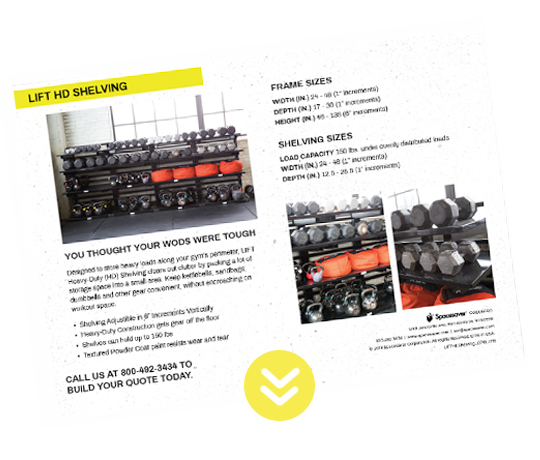 Download a free copy of our LIFT HD Shelving info sheet for a complete list of features and sizes. 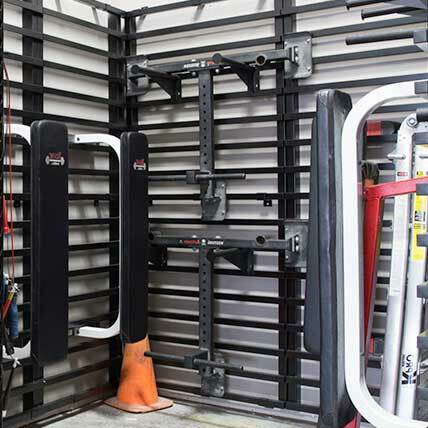 High-intensity fitness equipment like sandbags, sleds, and other large or heavy items need their own storage solutions. Ready to make the most of your space? Let’s get started. Contact us for a free consultation. 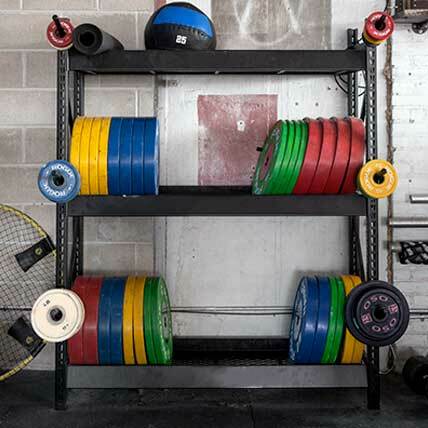 See how masters CrossFit® Athlete Jeb Simmons’ gym takes full advantage to every inch of their space. ©2019 Spacesaver Corporation. All Rights Reserved.